I’ve collected all tweet Questions about Psionic Unearthed Arcana, with answers from designers Master Mike Mearls and Jeremy Crawford. Just a note, this is playtest material is not final, Master Mike wants to stress rules and have your feedbacks from the next survey, probably you’ll see a third and fourth version of Psionic before will be official. Remember: this is the same method used for 5th edition rules, the best rules ever created. @OpreichOversight for no heavy armour/martial weapon starting option for Mystic? Considering Immortal gives prof? good catch! Need to add that option to orders that give superior proficiencies. @Rfuquay83 we’ll cover that in multi classing, but it’ll likely be swap prof in Dex, Wis, or Con for something else. @Rfuquay83 we’ll do a pass to make sure stuff works past 10. The cost will need to be tweaked. @Rfuquay83Mike, are there other disciplines in the works, like telekinesis, etc. We didnt see all of them in this playtest did we? there are more coming! @feelieking I really like the new version of the Mystic 😀 Is the Order of the Invisible Hand still on the table for future development? yes, though with a new name. @jaa0109 Conquering Mind’s Psychic Grip: Can you choose where the target is forced to move to? Like into an acid pit? @SalmonSquire should a deep gnome mystic named “yoda” go immortal or awakened? awakened! @JeremyECrawford @mikemearls @Wizards_DnD Am I blind, or is the Order benefit for using a psionic Discipline missing from the UA article? 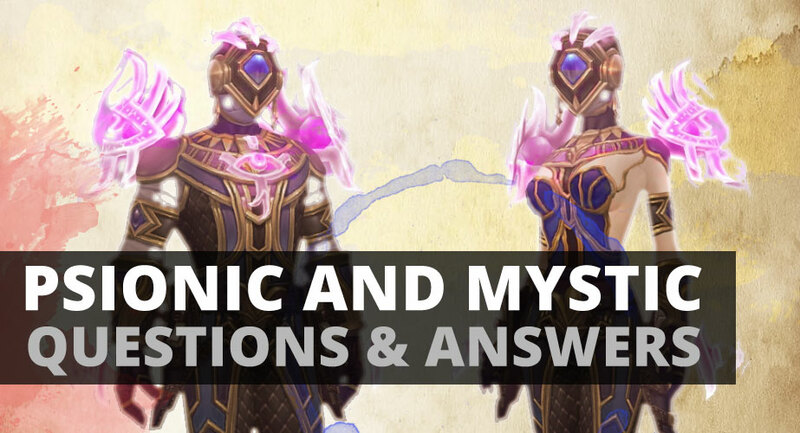 @TubaDanCrossis mystic the only class that gets a level 4 ability that isn’t an ASI? The druid and the monk do as well. intriguing! Haven't thought about playing with attunement as more than a housekeeping mechanic.